Bill Benjamin is a training and performance expert at the Institute for Health and Human Potential (IHHP), which just launched the New York Times best-selling book Performing Under Pressure. Bill is a highly sought-after presenter on the topics of emotional intelligence and performing under pressure. 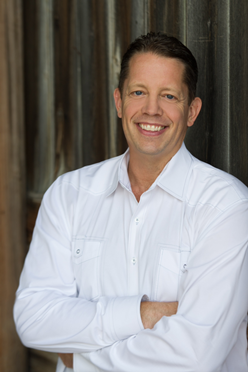 He works with leading corporations (including Johnson & Johnson and Goldman Sachs), Olympic athletes, Navy SEALS and others, helping people maximize their success in pressure situations. 1. Why is emotional intelligence an important concept for business? There are many research studies that show that IQ and technical skills are threshold competencies – you need a certain amount of them to do any job, but they don’t differentiate performance once you are over the threshold. A Harvard Business School study showed that Emotional Intelligence counts for twice as much as IQ and technical skills combined in determining who will be successful in business – and in the personal lives! 2. Back in the 80s, when the term was coined, there were no Facebook, Twitter or Skype. Is a person with high emotional intelligence naturally good relating to others via social networking or is this a different skill set? One of the biggest challenges with social media, e-mail, etc. is that we don’t have the verbal and non-verbal cues to assess another person’s intention. When someone is under pressure and not managing their emotions, our brain is wired to assume the worse and react accordingly. We all know where that leads. When someone is managing their emotions, they can think more clearly, connect with the intention of the other person, and measure their response, focusing more on the positive or deal with other’s negativity more skillfully . 3. What’s a more practical approach for business - training employees on order to improve their emotional intelligence or recruiting people with great emotional intelligence skills right away? Both strategies are important. For most organizations though, it’s not feasible to replace the people they have in leadership positions as have a lot of knowledge and positive leadership skills. Most leaders just need to gain insight on how they respond under pressure, and learn strategies to be more effective. That’s where training becomes critical – the skills to manage emotions and perform under pressure can be learned. 4. What are some simple exercises and techniques that business leaders can do to improve their EI? The most important aspect of EI is self-awareness of how one is impacting the people around them. The best way to gain that insight is to do an EI360 assessment where you get anonymous feedback from those around you. In lieu of that, people can seek feedback from people they trust. · Visualize yourself succeeding. Most of us have the habit of using a ‘default visualization (we think of whatever comes to mind, often negative focused on the things that can go wrong) which predisposes us to be less effective. Instead, remember times you did your best and focus on those successes. It changes your brain. · Don't try to be better than your best. Unrealistically, people expect they need to over-perform or have super-human abilities under pressure in order to succeed. They don’t. Instead, concentrate on just doing your best. · Reframe your thinking. People tend to view a pressure situation as a crisis. Our natural physiological responses to pressure restrict oxygen to the brain and muscles, making it harder to focus. Change your mindset, ask yourself: how can I view the pressure situation as a challenge or opportunity? You'll get more oxygen to your brain/muscles, improving your performance. · Regulate your breathing. This technique sounds so simple, but it's tremendously effective. Just breathe. 5. Outside emotional intelligence, what are the skills that management should concentrate on in order to stay relevant in the next 10 years? 6. What resources, blogs, books and podcasts can you recommend to our readers?